Working with a broad range of manufacturers, including those in the Infant Nutrition, Food, Pharmaceutical and Chemical industries, we proudly deliver top quality, flexible manufacturing system solutions for powder handling. In fact, the experiences we gain in one field help us to improve the services we can offer to other market sectors – eliminating waste and improving product quality to gain a competitive edge, whatever the industry. More than just a manufacturer of Intermediate Bulk Containers (IBCs), we are the powder handling experts – delivering complete solutions to create a flexible manufacturing system. We are proud to work with some of the world’s most famous household brand names, as well as more local, national companies. 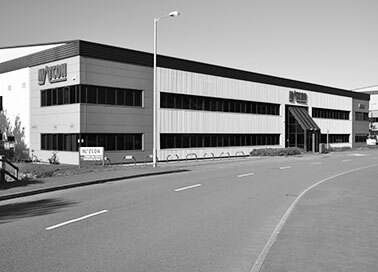 Our Head Office and a Centre of Excellence Test Plant are located in the UK. We are supported around the world by regional offices and Test Facilities in the USA, China, Singapore and India. A global network of Agents also means we can provide close local support to our customers wherever they are in the world. With a solid foundation in engineering design and a highly skilled operations team, Matcon ensures that each powder handling system is well designed and implemented to meet the specific needs of every customer. Who, in turn, benefit from receiving a flexible manufacturing system. We are the original Cone Valve company and the powder handling experts. 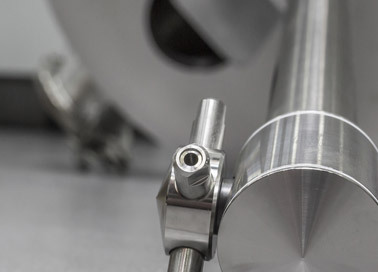 Established in 1980, Matcon launched its unique Discharger Valves – game-changing technology to solve problems with the flow of difficult-to-handle materials in Storage Silos. 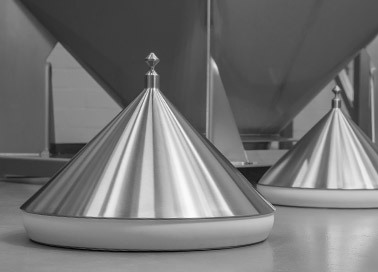 Building on this success, Matcon applied the same idea to IBCs – creating our world-famous Cone Valve IBCs which revolutionised the capabilities of traditional systems. Unlike butterfly and slide valve containers, which can cause bridging and rat-holing, Matcon’s invention was able to eliminate problems with powder mix segregation and control difficult to handle powders. In July 2012, Matcon was acquired by the IDEX Corporation. Continuing to build on our strong heritage of supplying future-proof, flexible manufacturing system around the world, we are now proud to be a successful part of IDEX’s Material Processing Technologies division alongside world-leading brands from Quadro Engineering, Fitzpatrick and Microfluidics. IDEX (NYSE: IEX) is a company that has undoubtedly touched your life in some way. In fact, we make thousands of products that are mission critical components in everyday activities. Founded in 1988 with three small, entrepreneurial manufacturing companies, we’re proud to say that we now call 40 diverse businesses around the world part of the IDEX family. With 7,000 employees and manufacturing operations in more than 20 countries, IDEX is a high-performing, global $2+ billion company committed to making trusted solutions that improve lives. For more information, visit www.idexcorp.com.